1940s: Top of waterfall, water goes down. View from inside car that drives on the road, trees and mountains around. 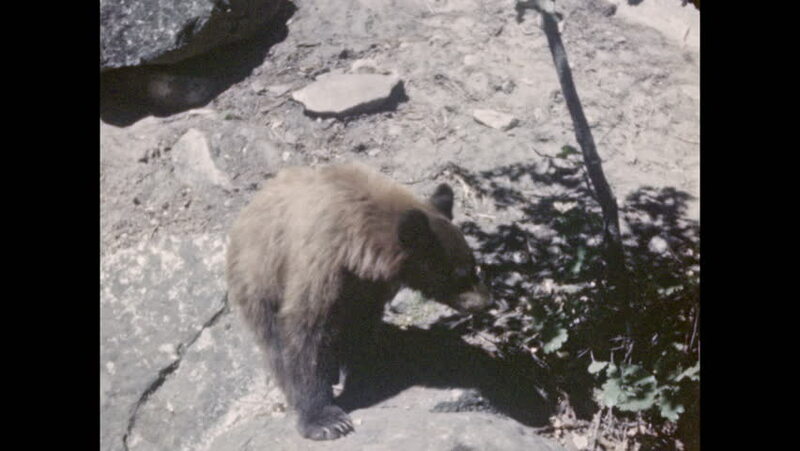 A grizzly bear walks over rocks in forest and smells the ground. Bear near tree. hd00:331940s: Squirrel sniffs around on ground for food, eats nut. Rabbit sits on grass, nose twitches. Family of raccoons explores base of tree. hd01:04CIRCA 1950s - Downed airmen share a meal in a hideout and a member of the underground sits down and types on a typewriter in enemy territory. hd00:11The Car After the Fire. Burnt Out Car With an Open Hood. Engine Burned Out Car Wreck After a Fire. Vandalism.